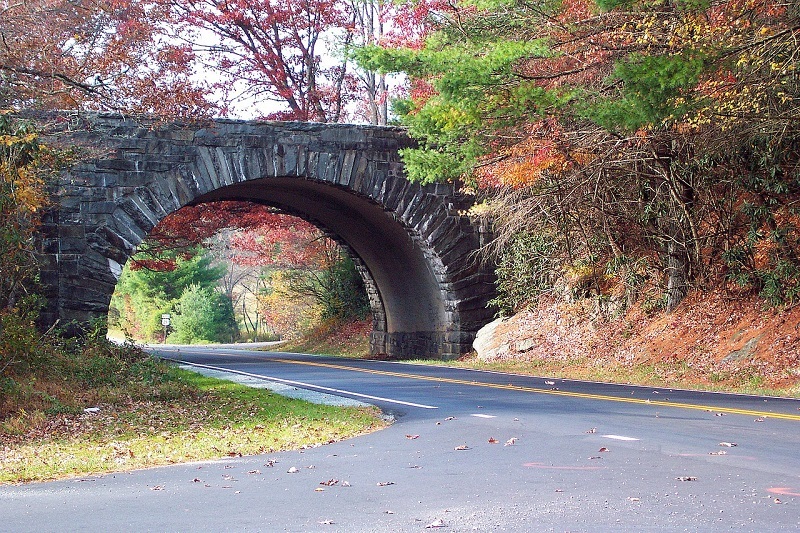 Blue Ridge Parkway, Virginia | Classic Driving Route, Beautiful Forestry! 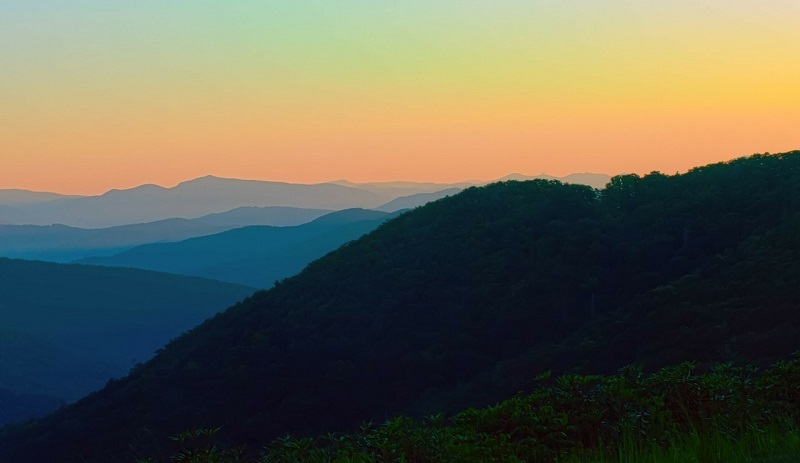 Known as America’s favorite drive from near Charlottsville in Virginia to Cherokee at the foot of the Great Smoky Mountains in North Carolina, the Blue Ridge Parkway has it all. Scenic vistas of rugged mountain peaks, colorful landscapes filled with wildflowers, and historical artifacts are just a few of the things you are bound to encounter as you drive down the 469-mile road. Take in the natural beauty of the region as you drive your car rental from Washington DC, Charlotte in North Carolina or Atlanta, Georgia, along the zigzagged road or discover some of its hidden gems even further as you hike one of the dozen or so trails that the parkway offers. If you’re planning a drive, don’t miss the following must-see highlights. When coming from the north end, begin your journey with a stop at Humpback Rocks located on milepost 5.8. This scenic hardwood forest also has sweeping views of the Shenandoah Valley that looks particularly darling during the autumn foliage. Stop by the visitor center to learn about the different aspects of mountain life living and take a peak into the 19th century farm structures scattered around the area. Talk about a major thoroughfare that has evolved with times. The James River, through the years, has seen traffic on foot, by boat, by rail and now with gasoline powered cars and trucks. A stop here provides travelers with plenty of hiking and fishing opportunities. There are also a number of picnic and camping facilities. Nearby is the 3.5-mile Otter Creek Trail where you’ll traverse the path carved by the river and come across the 172-year old Kanawha Canal Lock. 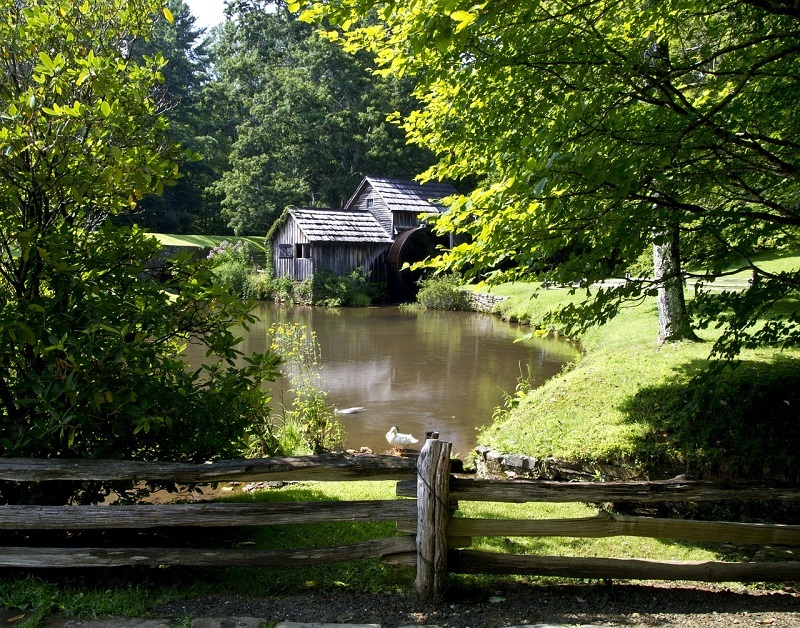 To get a true vision of life in rural Appalachia, make sure to stop by the Mabry Mill. Built by Ed Mabry for himself and his wife Lizzy, the charming house with adjacent sawmill and gristmill is quite possibly one of the most photographed spot along the Blue Ridge Parkway. On Sunday, during the summer months, you’ll likely get a cultural treat during your visit thanks to musicians and dancers who put on a nice show for visitors. There are also craft demonstrations during peak season courtesy of the National Park Service. The Blue Ridge Parkway presents travelers with eight tranquil and scenic campgrounds suitable for cars and motorhome rentals. Some do not offer full hookups but does come with restrooms, picnic tables, grills and drinking water. The campgrounds are open to the public from May to October and are usually located at elevations greater than 2,500 feet above sea level. In order to secure your reservation, visit www.recreation.gov or contact the toll free (877) 444-6777.